Watch Fun Kids exclusive Paul Blart: Mall Cop 2 clip! Paul Blart is back, people! We’ve got our hands on an exclusive clip from the new movie Paul Blart: Mall Cop 2! Don’t worry, we didn’t steal it – it’s all completely above board, otherwise we’d have Paul on our case! Paul Blart – mall cop extraordinaire – is played once again by top Hollywood actor Kevin James and comes out in the UK on 10th April! Click here to watch to Carly Rae Jepsen’s new single! 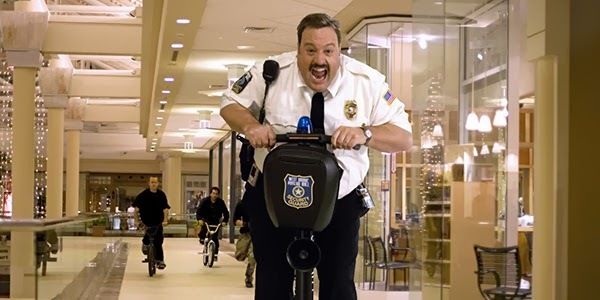 After six years of keeping America’s malls safe, Paul Blart has earned a well-deserved break! Paul and his daughter head to Vegas for a holiday but safety never takes a holiday and when duty calls, Blart answers!